Our health is the most valuable resource we have. Without good health, you can’t expect to find professional success, develop healthy relationships or achieve your financial goals. To put it simply, you’re nothing without your health. Some health problems can’t be anticipated or avoided, but many others are influenced by your everyday life. Do you often find yourself wondering, “Am I burnt out?” Anticipating and understanding what will give us energy and what will drain us is crucial to experiencing a life of joy and fulfillment. But many aren’t sure what they should be aware of, much less how to prevent or embrace these things. As a result, they feel stressed, sick and burned out. If you’re feeling these things, you’re not alone; in fact, you may have felt this way for so long you think it’s normal. It’s not. Stress doesn’t just impact you, either; when you are consistently showing burnout symptoms, you are directly affecting the people around you, even if you don’t mean to. 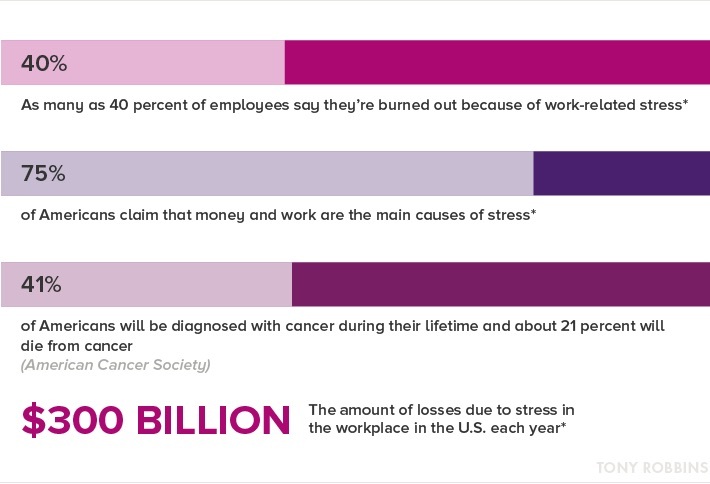 Relationships with coworkers, friends and loved ones are all impacted by your stress. Your stress levels can directly impact your health – and what’s the number one source of stress in most people’s lives? Money. How do you acquire money? By working. Does this sound familiar? You’ve chosen to stay in a workplace you hate because you’re terrified that you won’t be able to make ends meet. You desperately want the steady paycheck, so you stagnate in a job where you hate being at the office day after day. “I can’t quit,” you say, so you keep clocking in, working the long hours and obeying a disrespectful boss. You lose sleep – and the sleep that you get isn’t particularly restful. If you keep this up long enough, you pass the threshold of stress and head into burnout. Skyrocketing blood pressure and a lowered immune system are common signs of burnout. A cold might knock you down for two weeks instead of two days. Your memory might start slipping. Headaches, premature aging and insomnia are other burnout symptoms you shouldn’t ignore. If you’re miserable at your job, then you should make preparations to move on – but in the meantime, you can fight back against work burnout by changing how you handle stress. Do you face numerous obstacles at work? Treat them as opportunities to learn and grow instead of something placed squarely in your path to stop you. As you change the way you handle stress, you should change the way you think about your situation. If you’re telling yourself – even subconsciously – that you’re trapped and stagnating, eventually your mind will believe it, which can stop you from taking action leading to even more stress. Learning how to shift your mindset will lead you to feel less stressed in your current job. If you can see a way out, you can move past burnout. Alleviating work burnout is only one step on the road to total wellness. 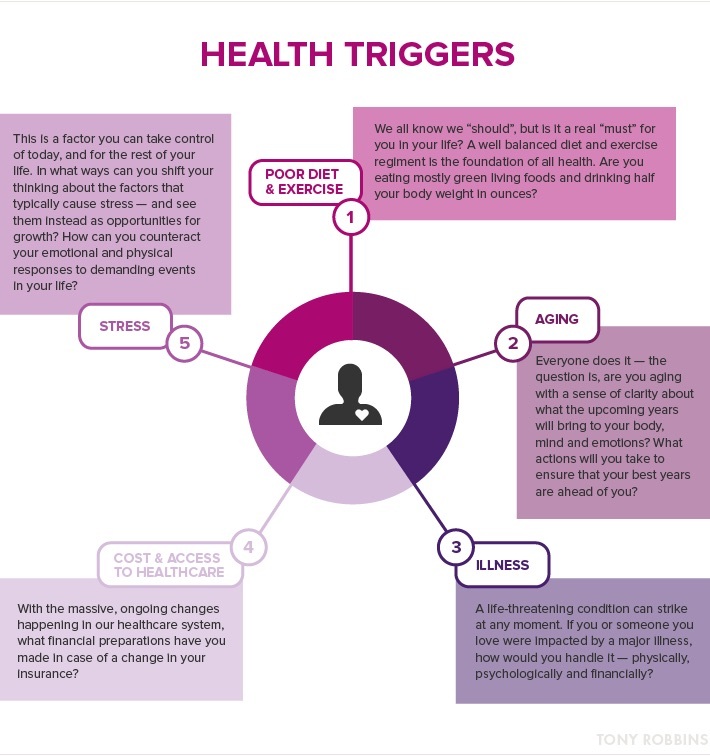 Poor diet and lack of exercise, aging, illness, cost and access to healthcare and stress impact millions of people each year. By taking control of your life and focusing on the elements that you can and should influence, you can become a healthier, stronger, happier person. Many of our health triggers can be subdued or altogether conquered by accepting that these sorts of things may happen and that you can prepare for them. True, there’s not much you can do about aging, but maintaining a healthy, active life goes a long way in retaining mobility and independence. Physical activity can strengthen the body and the mind and help control your stress levels. Gaining control of the stressors in your life – including stress itself – can ease signs of burnout and help you get back on the road to a happier, healthier life. Without health, you won’t achieve any of your goals. 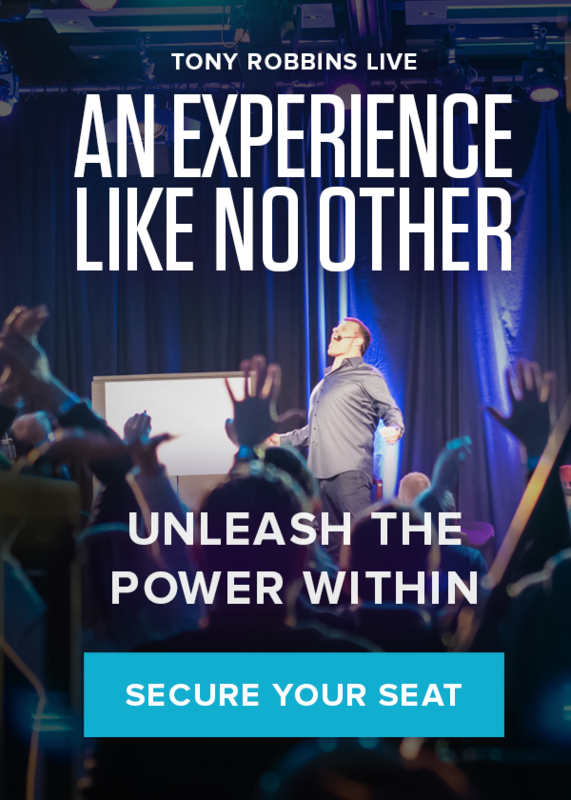 At Tony Robbins’ Unleash the Power Within, you’ll examine your current lifestyle and understand the power of maintaining good health throughout your life.